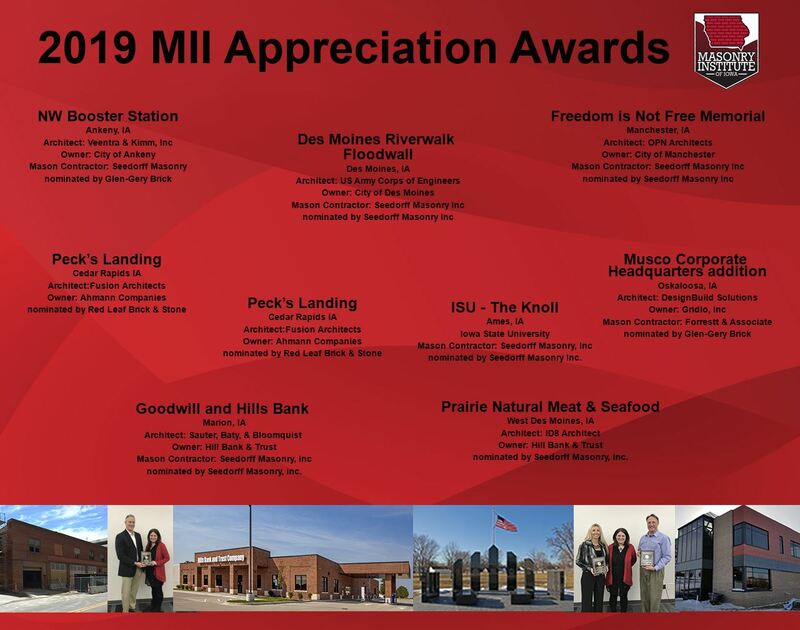 MII's Appreciation award is a yearly awards program. To nominate for the 2010 awards program, click here. Iowa construction projects utilizing MII member contractors or material suppliers. Nominations must have significant masonry assemblies, landscaping or segmental retaining walls. Past projects receiving one of MII’s Architectural Awards are not eligible. The MII Award will be presented annually at the MII Annual Meeting. The award will include recognition plaques for the owner and designer. The MII Awards Committee will review projects and select recipients. 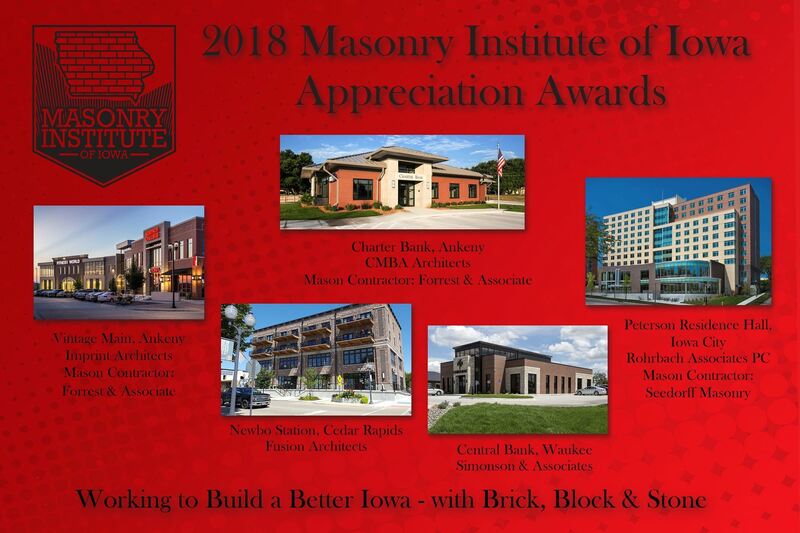 Submissions are judged according to the following: Contributions to the masonry industry, community impact, visual appearance, construction detailing and workmanship quality. Awarded projects will be recognized by the MII e-newsletter, MII website and a press release will be sent to the recipients local newspaper. MII Members must submit entries online www.masonryinstituteofiowa.org by FEBRUARY 1, 2019. Entries will need to include: four project photo’s, identify owner, designer, contractor/installer, masonry supplier with description of material used, project completion date and your contact information. SUBMISSION IS DONE BY AN MII MEMBER -- NOT THE ARCHITECT. Contact Jenny Stephenson at jstephenson@masonryinstitutoefiowa.org with questions.